Last week I blogged about Lessons Learned, when a class does not go well. This post picks up where I left off, but focuses on my best teaching experience to date. I love teaching. I view it as a form of mentoring and learning that works both ways. I learn from my students, and I have ample opportunity to work with them as they read and engage with the course materials, their peers, and me. Mentoring is important to me and this class offered lots of mentoring moments. Last Fall I taught a new course for the Technology and Society Program, Digital Skills for Your Career and the course was amazing. 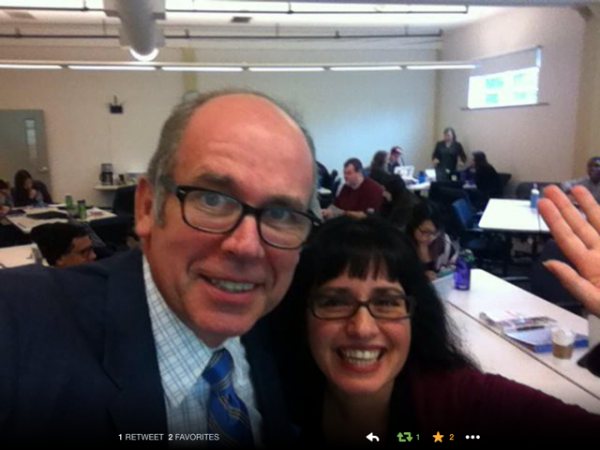 I need to clarify, I co-taught with an awesome person and she helped make it successful. The students were also open to the material and learning. We also had colleagues from Career and Co-op lecture about planning for your career trajectory, resume tips, and LinkedIn tips. The thing is that we had lots of exercises and group work for the class. The students started off with putting together an About.me page, where they could think about who they are and what they’d like to share. The course was also meant to have them think about being in control over their digital footprints. They also had to populate a LinkedIn profile well, blog, and then give a presentation about themselves and something that they’re interested in as their final project. There was also group work during class sessions. We had a wide array of guest speakers from government, media, technology, non-profit, entrepreneurs, and other educators. Everything fit in well and our office hours were quite busy with the students. The student feedback unofficially and officially (student evaluations) was extremely positive. What worked well is that we allowed them to be vulnerable. We talked about vulnerability and we saw that thinking and planning was frightening, and they needed a space to do this. We graded them on their writing, depth of analysis, and public speaking. Overall, the course was awesome. Several of the students shared that they were recruited via their LinkedIn profile, and others used the class to think about what was next for them. I am teaching the course again, and by myself this time. We are going to read Tom Rath’s Strength Finders and Sheryl Sandberg’s Leaning in For Graduates. I also have lots of articles about using social or digital tools wisely. Overall, I am looking forward to the class, and I hope that this next cohort of students are as excited as I am. 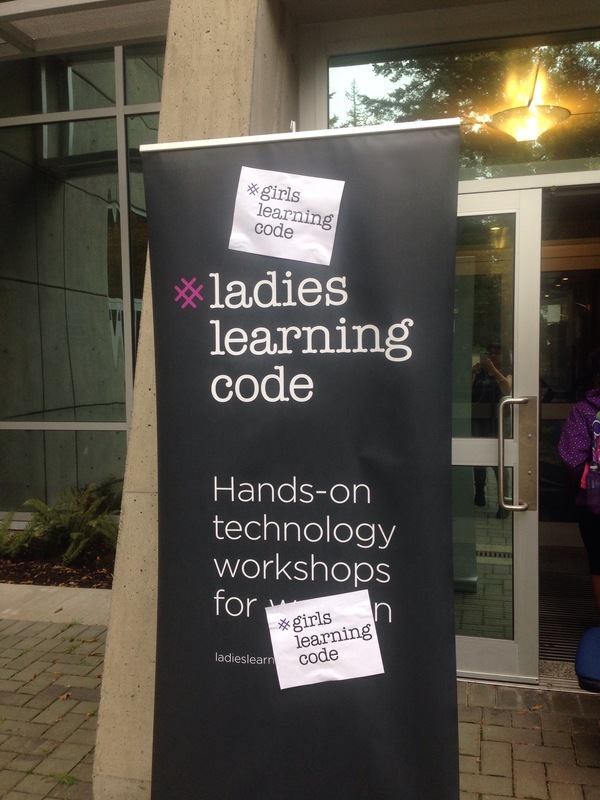 Today my youngest daughter and one of her friends attended Girls Learning Code Day activities at UVIC. It was a packed day of coding in the Engineering Computer Science Labs for the kids and their parents. The crowed was packed with girls, a few boys, and lots of parents. The girls and their parents stormed the Ivory Tower or in this case the tower of the Engineering wing. This day probably saw the most girls and women in the building than at any other time. There were numerous mentors at the event, too. The mentors were a good mix of UVIC graduate students, alum, and local mentors from tech companies or other businesses in Victoria. 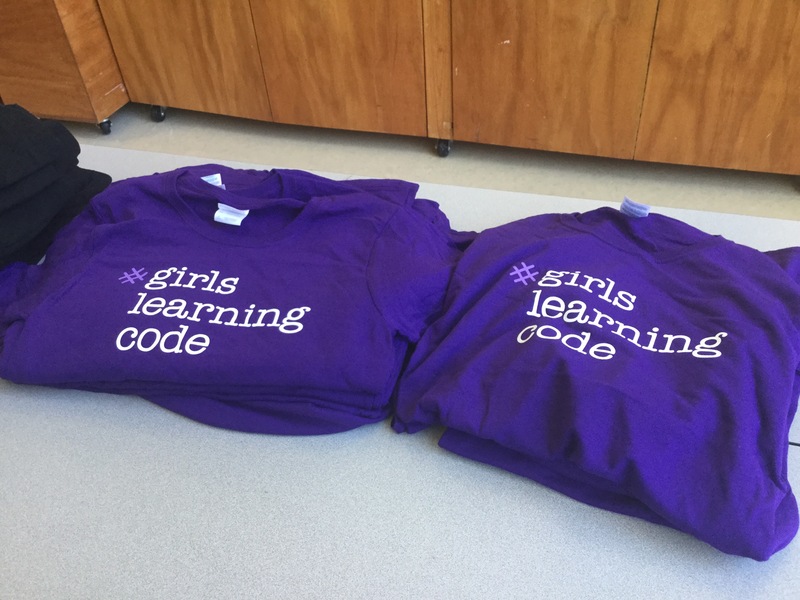 The Girls Learning Code Day took place across Canada and was sponsored by MasterCard. 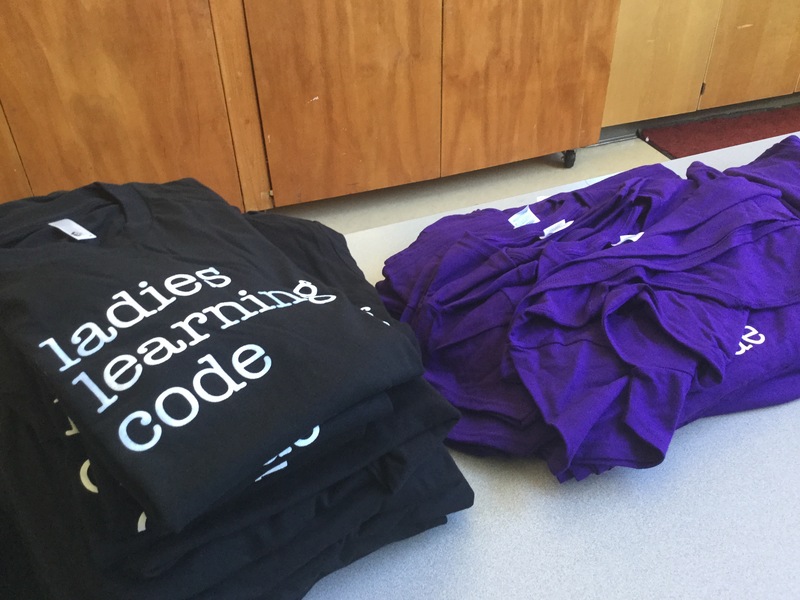 I would like to thanks Ladies Learning Code national, the Victoria Chapter, Erin Athene, and Linley Faulkner for all of their hard work in putting together the successful event.